However, I had some issues with it. First, the Amazon synopsis describes it as “a substantial examination of his life and work”. 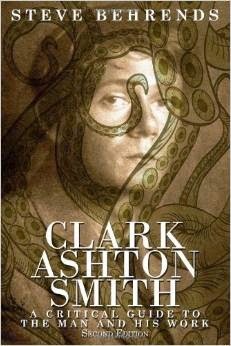 However, the opening chapter on Smith’s life is a mere 25 pages of a 220 page book, less actually if you only look at the biographical facts contained in those 25 pages. The supplementary essays would have been better served worked into the book itself rather than tacked on to the end where they seem more an afterthought to raise page count. Furthermore, the “virgin” essay was pointless and unnecessary without a greater discussion of Smith’s love life for appropriate context. And this book certainly was not the place to include a story of Smith’s that Behrends completed. But the worst offense, I think, is for a second edition of a nonfiction book released by an actual publisher to contain a single typo. And this book has several, which absolutely undercut any claim of critical authority for me.